First off, fire is very cheap when compared to other habitat management practices. For instance, an average annual food plot will cost about $250/acre, whereas you can often hire your state forest service or a private consultant to burn your forest blocks for $30-60/acre, including fire break installation cost! On top of that, the time investment is much less. You can burn an average 10 acre block of woods with 3 or 4 guys in an afternoon following a few hours of firebreak installation. Most forests and fields should only be burned every 2-5 years whereas that food plot will need to be sprayed, fertilized, and planted yearly! This makes the average annual time investment of prescribed fire much less than that of food plots or other plantings. Depending on what type of forest or field you are burning, different plant species will be favored. However, generally burning young hardwood trees (those with diameters smaller than 4”) will kill their tops and create a re-sprouting stump. Larger hardwoods within burn blocks will remain alive and damage is typically minimal. Of course, this depends on what species of trees you are burning and how hot you burn them. Most pine species are much more tolerant of fire than most hardwoods, and will generally survive as long as some green needles remain after the fire. Shrubs will often be top-killed and re-sprout following the fire. 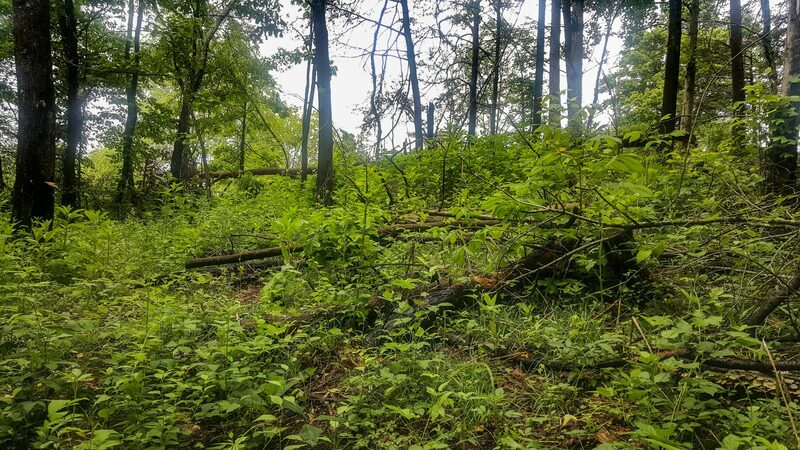 (Above) This hardwood stand was thinned to remove sourwood and American holly to release the white oaks and tulip poplar prior to a dormant season prescribed fire. Now, it provides ample cover and food for deer and turkey. Fire also promotes forbs and grasses by cleaning the ground of leaf litter and thatch, exposing seeds already in the seed bank so that they can germinate. This, combined with the scarification of seed by the fire, leads to a flush of new growth that is often dominated by forbs that are high in nutrients and grasses that provide cover and seed for upland birds. Don’t worry about planting anything where your fire has burned, as seeds can remain viable in the seed bank for decades and will germinate quickly once they are exposed with fire. So, there is no need to waste money planting expensive seed because the abundance of native plants in the seed bank will do it for you! Whether you are managing your property for deer, turkey, or quail, having an adequate amount of native forbs and grasses growing on your property is essential to providing the forage and seed that these species rely on. Fire promotes many forbs and shrubs that provide excellent browse for deer and other species, and often leads to increased soft mast production by blackberry, blueberry, and pokeberry. Providing this food makes your property more attractive, leading to improved hunting opportunities and better year-round nutrition that will lead to a healthier deer herd and turkey flock. 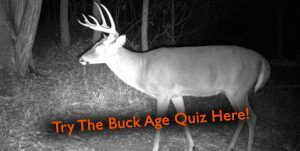 These benefits may be exhibited through larger antlers, higher reproduction rates, and an overall increase in the carrying capacity of your property. Whitetails and turkeys often spend most of their day in areas with dense cover where they can escape from predators. If deer venture far from this cover, it will usually be during the night when they are less visible to predators and safe from hunting pressure. This direct link between deer use and the amount of quality cover makes properties with security cover the most attractive to whitetails, and can make them hotspots when bullets start flying. By increasing the amount of cover on your property you will improve your hunting opportunity and provide escape cover from predators. Fire can also be an effective way to fight invasive plant species. By burning under and around the stems of plants like Chinese privet, bush honeysuckle, Japanese honeysuckle, Oriental bittersweet, or kudzu. you can top-kill the plants. While this will not kill the the roots of the plant, it will lead to a flush of new growth at ground level and will allow you to concentrate your herbicide spraying on a small cluster of new vegetation that will lead to a better kill of the plant. Just realize that burning alone will not eliminate most invasives, and in some cases can promote them if you do not follow-up with herbicide. Whether you have ten acres or thousands of acres, using prescribed fire is an efficient way to improve wildlife habitat and hunting success. Just make sure to seek professional help or training before beginning a prescribed fire, and always follow local laws!